This yogurt shop in Redwood City had peeling epoxy throughout. Ready for a facelift. 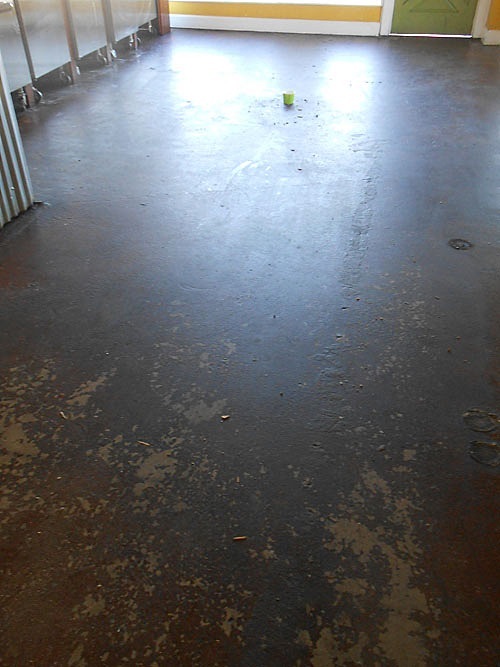 The floor was stained and polished to 800 grit. 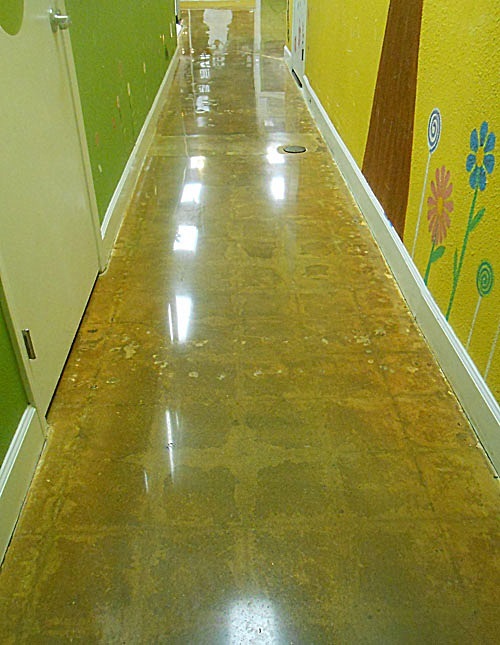 Notice the ghost lines from previous vct tiles. These are usually permanent. 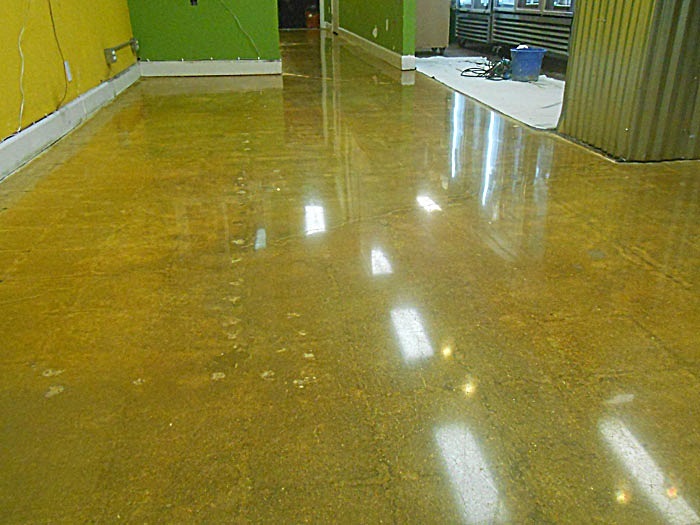 Love Your Floors assists families and businesses all over the Silicon Valley with their concrete polishing, grinding and staining, stone restoration, maintenance and surface preparation. 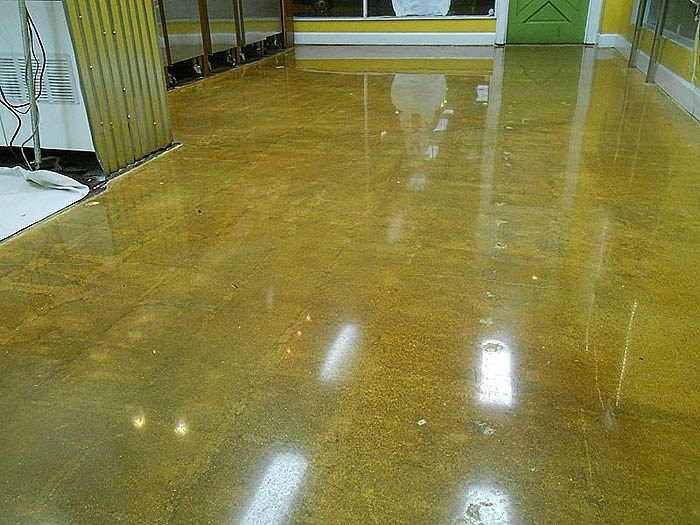 Many of our customers come from Redwood City and surrounding areas.